Scholarly approaches to mysticism include typologies of mysticism and the explanation of mystical states. Since the 19th century, mystical experience has evolved as a distinctive concept. It is closely related to "mysticism" but lays sole emphasis on the experiential aspect, be it spontaneous or induced by human behavior, whereas mysticism encompasses a broad range of practices aiming at a transformation of the person, not just inducing mystical experiences. There is a longstanding discussion on the nature of socalled "introvertive mysticism." Perennialists regard this kind of mysticism to be universal. A popular variant of perennialism sees various mystical traditions as pointing to one universal transcendental reality, for which those experiences offer the proof. The perennial position is "largely dismissed by scholars" but "has lost none of its popularity". Instead, a constructionist approach became dominant during the 1970s, which states that mystical experiences are mediated by pre-existing frames of reference, while the attribution approach focuses on the (religious) meaning that is attributed to specific events. Some neurological research has attempted to identify which areas in the brain are involved in so-called "mystical experience" and the temporal lobe is often claimed to play a significant role, likely attributable to claims made in Vilayanur Ramachandran's 1998 book, Phantoms in the Brain, However, these claims have not stood up to scrutiny. 2.4 Criticism of the concept of "mystical experience"
R. C. Zaehner distinguishes three fundamental types of mysticism, namely theistic, monistic and panenhenic ("all-in-one") or natural mysticism. The theistic category includes most forms of Jewish, Christian and Islamic mysticism and occasional Hindu examples such as Ramanuja and the Bhagavad Gita. The monistic type, which according to Zaehner is based upon an experience of the unity of one's soul,[note 1] includes Buddhism and Hindu schools such as Samhya and Advaita vedanta. Nature mysticism seems to refer to examples that do not fit into one of these two categories. Zaehner has also been criticised by Walter Terence Stace in his book Mysticism and philosophy (1960) on similar grounds. Stace argues that doctrinal differences between religious traditions are inappropriate criteria when making cross-cultural comparisons of mystical experiences. Stace argues that mysticism is part of the process of perception, not interpretation, that is to say that the unity of mystical experiences is perceived, and only afterwards interpreted according to the perceiver’s background. This may result in different accounts of the same phenomenon. While an atheist describes the unity as “freed from empirical filling”, a religious person might describe it as “God” or “the Divine”. In “Mysticism and Philosophy”, one of Stace’s key questions is whether there are a set of common characteristics to all mystical experiences. 4. Blessedness, peace, etc. 4. Blessedness, peace, etc. Stace finally argues that there is a set of seven common characteristics for each type of mystical experience, with many of them overlapping between the two types. Stace furthermore argues that extrovertive mystical experiences are on a lower level than introvertive mystical experiences. Stace's categories of "introvertive mysticism" and "extrovertive mysticism" are derived from Rudolf Otto's "mysticism of introspection" and "unifying vision". Extrovert: experiencing the unity of nature; experiencing nature as a living presence; experiencing all nature-phenomena as part of an eternal now; the "unconstructed experience" of Buddhism. Introvert: pure empty consciousness; the "mutual love" of theistic experiences. Extrovertive experiences: the sense of connectedness (“unity”) of oneself with nature, with a loss of a sense of boundaries within nature; the luminous glow to nature of “nature mysticism”; the presence of God immanent in nature outside of time shining through nature of “cosmic consciousness”; the lack of separate, self-existing entities of mindfulness states. Introvertive experiences: theistic experiences of connectedness or identity with God in mutual love; nonpersonal differentiated experiences; the depth-mystical experience empty of all differentiable content. Although Stace's work on mysticism received a positive response, it has also been strongly criticised in the 1970s and 1980s, for its lack of methodological rigueur and its perennialist pre-assumptions. [web 1] Major criticisms came from Steven T. Katz in his influential series of publications on mysticism and philosophy,[note 5] and from Wayne Proudfoot in his Religious experience (1985). The term "mystical experience" has become synonymous with the terms "religious experience", spiritual experience and sacred experience. A "religious experience" is a subjective experience which is interpreted within a religious framework. The concept originated in the 19th century, as a defense against the growing rationalism of western society. Wayne Proudfoot traces the roots of the notion of "religious experience" to the German theologian Friedrich Schleiermacher (1768–1834), who argued that religion is based on a feeling of the infinite. The notion of "religious experience" was used by Schleiermacher to defend religion against the growing scientific and secular critique. It was adopted by many scholars of religion, of which William James was the most influential. A broad range of western and eastern movements have incorporated and influenced the emergence of the modern notion of "mystical experience", such as the Perennial philosophy, Transcendentalism, Universalism, the Theosophical Society, New Thought, Neo-Vedanta and Buddhist modernism. In mystic states we both become one with the Absolute and we become aware of our oneness. This is the everlasting and triumphant mystical tradition, hardly altered by differences of clime or creed. In Hinduism, in Neoplatonism, in Sufism, in Christian mysticism, in Whitmanism, we find the same recurring note, so that there is about mystical utterances an eternal unanimity which ought to make a critic stop and think, and which bring it about that the mystical classics have, as been said, neither birthday nor native land. ...the feelings, acts, and experiences of individual men in their solitude, so far as they apprehend themselves to stand in relation to whatever they may consider the divine. The concept of "mystical experience" has influenced the understanding of mysticism as a distinctive experience which supplies knowledge of a transcendental reality, cosmic unity, or ultimate truths. [web 1][note 9] Scholars, like Stace and Forman, have tended to exclude visions, near death experiences and parapsychological phenomena from such "special mental states," and focus on sudden experiences of oneness, though neurologically they all seem to be related. Criticism of the concept of "mystical experience"
The notion of "experience", however, has been criticized in religious studies today. Robert Sharf points out that "experience" is a typical Western term, which has found its way into Asian religiosity via western influences. [note 10] The notion of "experience" introduces a false notion of duality between "experiencer" and "experienced", whereas the essence of kensho is the realisation of the "non-duality" of observer and observed. "Pure experience" does not exist; all experience is mediated by intellectual and cognitive activity. The specific teachings and practices of a specific tradition may even determine what "experience" someone has, which means that this "experience" is not the proof of the teaching, but a result of the teaching. A pure consciousness without concepts, reached by "cleaning the doors of perception",[note 11] would be an overwhelming chaos of sensory input without coherence. Constructivists such as Steven Katz reject any typology of experiences since each mystical experience is deemed unique. Other critics point out that the stress on "experience" is accompanied with favoring the atomic individual, instead of the shared life of the community. It also fails to distinguish between episodic experience, and mysticism as a process, that is embedded in a total religious matrix of liturgy, scripture, worship, virtues, theology, rituals and practices. Scholarly research on mystical experiences in the 19th and 20th century was dominated by a discourse on "mystical experience," laying sole emphasis on the experiential aspect, be it spontaneous or induced by human behavior. Perennialists regard those various experiences traditions as pointing to one universal transcendental reality, for which those experiences offer the prove. In this approach, mystical experiences are privatised, separated from the context in which they emerge. William James, in his The Varieties of Religious Experience, was highly influential in further popularising this perennial approach and the notion of personal experience as a validation of religious truths. The principal representant of the constructionist position is Steven T. Katz, who, in a series of publications,[note 13] has made a highly influential and compelling case for the constructionist approach. The perennial position is "largely dismissed by scholars", but "has lost none of its popularity". The contextual approach has become the common approach, and takes into account the historical and cultural context of mystical experiences. According to Katz (1978), Stace typology is "too reductive and inflexible," reducing the complexities and varieties of mystical experience into "improper categories." According to Katz, Stace does not notice the difference between experience and interpretation, but fails to notice the epistemological issues involved in recognizing such experiences as "mystical," and the even more fundamental issue of which conceptual framework precedes and shapes these experiences. Katz further notes that Stace supposes that similarities in descriptive language also implies a similarity in experience, an assumption which Katz rejects. According to Katz, close examination of the descriptions and their contexts reveals that those experiences are not identical. Katz further notes that Stace held one specific mystical tradition to be superior and normative, whereas Katz rejects reductionist notions and leaves God as God, and Nirvana as Nirvana. According to Paden, Katz rejects the discrimination between experiences and their interpretations. Katz argues that it is not the description, but the experience itself which is conditioned by the cultural and religious background of the mystic. According to Katz, it is not possible to have pure or unmediated experience. Yet, according to Laibelman, Katz did not say that the experience can't be unmediated; he said that the conceptual understanding of the experience can't be unmediated, and is based on culturally mediated preconceptions. According to Laibelman, misunderstanding Katz's argument has led some to defend the authenticity of "pure consciousness events," while this is not the issue. Laibelman further notes that a mystic's interpretation is not necessarily more true or correct than the interpretation of an uninvolved observer. Robert Forman has criticised Katz' approach, arguing that lay-people who describe mystical experiences often notice that this experience involves a totally new form of awareness, which can't be described in their existing frame of reference. Newberg argued that there is neurological evidence for the existence of a "pure consciousness event" empty of any constructionist structuring. Richard H. Jones believes that the dispute between "constructionism" and "perennialism" is ill-formed. He draws a distinction between "anticonstructivism" and "perennialism": constructivism can rejected with respect to a certain class of mystical experiences without ascribing to a perennialist philosophy on the relation of mystical doctrines. Constructivism versus anticonstructivism is a matter of the nature of mystical experiences themselves while perennialism is a matter of mystical traditions and the doctrines they espouse. One can reject constructivism about the nature of mystical experiences without claiming that all mystical experiences reveal a cross-cultural "perennial truth". Anticonstructivists can advocate contextualism as much as constructivists do, while perennialists reject the need to study mystical experiences in the context of a mystic's culture since all mystics state the same universal truth. The theoretical study of mystical experience has shifted from an experiential, privatised and perennialist approach to a contextual and empirical approach. The contextual approach, which also includes constructionism and attribution theory, takes into account the historical and cultural context. [web 1] Neurological research takes an empirical approach, relating mystical experiences to neurological processes. Wayne Proudfoot proposes an approach that also negates any alleged cognitive content of mystical experiences: mystics unconsciously merely attribute a doctrinal content to ordinary experiences. That is, mystics project cognitive content onto otherwise ordinary experiences having a strong emotional impact. Objections have been raised concerning Proudfoot’s use of the psychological data. This approach, however, has been further elaborated by Ann Taves. She incorporates both neurological and cultural approaches in the study of mystical experience. The scientific study of mysticism today focuses on two topics: identifying the neurological bases and triggers of mystical experiences, and demonstrating the purported benefits of meditation. Correlates between mystical experiences and neurological activity have been established, pointing to the temporal lobe as the main locus for these experiences, while Andrew B. Newberg and Eugene G. d'Aquili have also pointed to the parietal lobe. 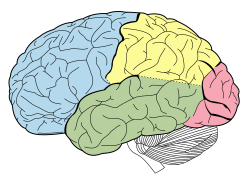 The temporal lobe generates the feeling of "I", and gives a feeling of familiarity or strangeness to the perceptions of the senses. [web 5] It seems to be involved in mystical experiences,[web 5] and in the change in personality that may result from such experiences. [web 5] There is a long-standing notion that epilepsy and religion are linked, and some religious figures may have had temporal lobe epilepsy (TLE). Raymond Bucke's Cosmic Consciousness (1901) contains several case-studies of persons who have realized "cosmic consciousness";[web 5] several of these cases are also being mentioned in J.E. Bryant's 1953 book, Genius and Epilepsy, which has a list of more than 20 people that combines the great and the mystical. James Leuba's The psychology of religious mysticism noted that "among the dread diseases that afflict humanity there is only one that interests us quite particularly; that disease is epilepsy." Slater and Beard renewed the interest in TLE and religious experience in the 1960s. Dewhurst and Beard (1970) described six cases of TLE-patients who underwent sudden religious conversions. They placed these cases in the context of several western saints with a sudden conversion, who were or may have been epileptic. Dewhurst and Beard described several aspects of conversion experiences, and did not favor one specific mechanism. The occurrence of intense religious feelings in epileptic patients in general is rare,[web 5] with an incident rate of ca. 2-3%. Sudden religious conversion, together with visions, has been documented in only a small number of individuals with temporal lobe epilepsy. The occurrence of religious experiences in TLE-patients may as well be explained by religious attribution, due to the background of these patients. Nevertheless, the Neuroscience of religion is a growing field of research, searching for specific neurological explanations of mystical experiences. Those rare epileptic patients with ecstatic seizures may provide clues for the neurological mechanisms involved in mystical experiences, such as the anterior insular cortex, which is involved in self-awareness and subjective certainty. Gscwind and Picard propose a neurological explanation for this subjective certainty, based on clinical research of epilepsy. [note 19] According to Picard, this feeling of certainty may be caused by a dysfunction of the anterior insula, a part of the brain which is involved in interoception, self-reflection, and in avoiding uncertainty about the internal representations of the world by "anticipation of resolution of uncertainty or risk". This avoidance of uncertainty functions through the comparison between predicted states and actual states, that is, "signaling that we do not understand, i.e., that there is ambiguity." Picard notes that "the concept of insight is very close to that of certainty," and refers to Archimedes "Eureka! "[note 20] Picard hypothesizes that in ecstatic seizures the comparison between predicted states and actual states no longer functions, and that mismatches between predicted state and actual state are no longer processed, blocking "negative emotions and negative arousal arising from predictive unceertainty," which will be experienced as emotional confidence. Picard concludes that "[t]his could lead to a spiritual interpretation in some individuals." This is exactly how Robert[who?] and generations of Eastern mystics before him have described their peak meditative, spiritual and mystical moments. Why God Won't Go Away "received very little attention from professional scholars of religion". [note 22][note 23] According to Bulkeley, "Newberg and D'Aquili seem blissfully unaware of the past half century of critical scholarship questioning universalistic claims about human nature and experience". [note 24] Matthew Day also notes that the discovery of a neurological substrate of a "religious experience" is an isolated finding which "doesn't even come close to a robust theory of religion". In mystical and contemplative traditions, mystical experiences are not a goal in themselves, but part of a larger path of self-transformation. For example, the Zen Buddhist training does not end with kenshō, but practice is to be continued to deepen the insight and to express it in daily life. [note 25] To deepen the initial insight of kensho, shikantaza and kōan-study are necessary. This trajectory of initial insight followed by a gradual deepening and ripening is expressed by Linji Yixuan in his Three mysterious Gates, the Five Ranks, the Four Ways of Knowing of Hakuin, and the Ten Ox-Herding Pictures which detail the steps on the Path. ^ Hood: "...it seems fair to conclude that the perennialist view has strong empirical support, insofar as regardless of the language used in the M Scale, the basic structure of the experience remains constant across diverse samples and cultures. This is a way of stating the perennialist thesis in measurable terms. ^ Hood: "[E]mpirically, there is strong support to claim that as operationalized from Stace's criteria, mystical experience is identical as measured across diverse samples, whether expressed in "neutral language" or with either "God" or "Christ" references. ^ Robert Sharf has criticised the idea that religious texts describe individual religious experience. According to Sharf, their authors go to great lengths to avoid personal experience, which would be seen as invalidating the presumed authority of the historical tradition. ^ Roberarf: "[T]he role of experience in the history of Buddhism has been greatly exaggerated in contemporary scholarship. Both historical and ethnographic evidence suggests that the privileging of experience may well be traced to certain twentieth-century reform movements, notably those that urge a return to zazen or vipassana meditation, and these reforms were profoundly influenced by religious developments in the west ii[...] While some adepts may indeed experience "altered states" in the course of their training, critical analysis shows that such states do not constitute the reference point for the elaborate Buddhist discourse pertaining to the "path". ^ Two notable exceptions are collections of essays by Wainwright 1981 and Jones 1983. ^ Schopenhauer: "In the widest sense, mysticism is every guidance to the immediate awareness of what is not reached by either perception or conception, or generally by any knowledge. The mystic is opposed to the philosopher by the fact that he begins from within, whereas the philosopher begins from without. The mystic starts from his inner, positive, individual experience, in which he finds himself as the eternal and only being, and so on. But nothing of this is communicable except the assertions that we have to accept on his word; consequently he is unable to convince. ^ Minsky's idea of 'some early Imprimer hiding in the mind' was an echo of Freud's belief that mystical experience was essentially infantile and regressive, i.e., a memory of 'Oneness' with the mother. ^ Meditator: It suddenly seemed as if I was surrounded by an immensely powerful Presence. I felt that a Truth had been "revealed" to me that was far more important than anything else, and for which I needed no further evidence. But when later I tried to describe this to my friends, I found that I had nothing to say except how wonderful that experience was. This peculiar type of mental state is sometimes called a "Mystical Experience" or "Rapture," "Ecstasy," or "Bliss." Some who undergo it call it "wonderful," but a better word might be "wonderless," because I suspect that such a state of mind may result from turning so many Critics off that one cannot find any flaws in it. What might that "powerful Presence" represent? It is sometimes seen as a deity, but I suspect that it is likely to be a version of some early Imprimer that for years has been hiding inside your mind. [note 17] In any case, such experiences can be dangerous—for some victims find them so compelling that they devote the rest of their lives to trying to get themselves back to that state again. ^ See Radhakrishnan for a similar stance on the value of religious experience. Radhakrishnan saw Hinduism as a scientific religion based on facts, apprehended via intuition or religious experience. [web 8] According to Radhakrishnan, "[i]f philosophy of religion is to become scientific, it must become empirical and found itself on religious experience". [web 8] He saw this empiricism exemplified in the Vedas: "The truths of the ṛṣis are not evolved as the result of logical reasoning or systematic philosophy but are the products of spiritual intuition, dṛṣti or vision. The ṛṣis are not so much the authors of the truths recorded in the Vedas as the seers who were able to discern the eternal truths by raising their life-spirit to the plane of universal spirit. They are the pioneer researchers in the realm of the spirit who saw more in the world than their followers. Their utterances are not based on transitory vision but on a continuous experience of resident life and power. When the Vedas are regarded as the highest authority, all that is meant is that the most exacting of all authorities is the authority of facts. "[web 8] This stance is echoed by Ken Wilber: "The point is that we might have an excellent population of extremely evolved and developed personalities in the form of the world's great mystic-sages (a point which is supported by Maslow's studies). Let us, then, simply assume that the authentic mystic-sage represents the very highest stages of human development—as far beyond normal and average humanity as humanity itself is beyond apes. This, in effect, would give us a sample which approximates "the highest state of consciousness"—a type of "superconscious state." Furthermore, most of the mystic-sages have left rather detailed records of the stages and steps of their own transformations into the superconscious realms. That is, they tell us not only of the highest level of consciousness and superconsciousness, but also of all the intermediate levels leading up to it. If we take all these higher stages and add them to the lower and middle stages/levels which have been so carefully described and studied by Western psychology, we would then arrive at a fairly well-balanced and comprehensive model of the spectrum of consciousness." ^ According to Matthew Day, the book "is fatally compromised by conceptual confusions, obsolete scholarship, clumsy sleights of hand and untethered speculation". According to Matthew Day, Newberg and d'Aquili "consistently discount the messy reality of empirical religious heterogenity". * Contemporary Chan Master Sheng Yen: "Ch'an expressions refer to enlightenment as "seeing your self-nature". But even this is not enough. After seeing your self-nature, you need to deepen your experience even further and bring it into maturation. You should have enlightenment experience again and again and support them with continuous practice. Even though Ch'an says that at the time of enlightenment, your outlook is the same as of the Buddha, you are not yet a full Buddha." * Contemporary western Rev. Master Jiyu-Kennett: "One can easily get the impression that realization, kenshō, an experience of enlightenment, or however you wish to phrase it, is the end of Zen training. It is not. It is, rather, a new beginning, an entrance into a more mature phase of Buddhist training. To take it as an ending, and to "dine out" on such an experience without doing the training that will deepen and extend it, is one of the greatest tragedies of which I know. There must be continuous development, otherwise you will be as a wooden statue sitting upon a plinth to be dusted, and the life of Buddha will not increase." ^ a b McMahan 2008, p. 269, note 9. ^ a b McMahan 2010, p. 269, note 9. ^ James H. Austin. Zen and the Brain: Toward an Understanding of Meditation and Consciousness. Archived from the original on 22 February 2004. ^ James H. Austin. Zen-Brain Reflections: Reviewing Recent Developments in Meditation and States of Consciousness. Archived from the original on 2006-06-23. ^ a b c d e f g h i j k l m n o Paden 2009, p. 332. ^ a b Stace, Walter (1960). Mysticism and Philosophy. MacMillan. pp. 44–80. ^ Jones 2016, p. 26-27. ^ Hood 2003, p. 324, 325. ^ a b Hood 2003, p. 324. ^ Moore 1973, p. 148-150. ^ Masson & Masson 1976. ^ Katz 1978, p. 22-32. ^ a b Belzen 2010, p. 97. ^ Hood 2001, p. 32. ^ Masson & Masson 1976, p. 109. ^ Belzen 2010, p. 50. ^ a b Hood et al. 2015, p. 467. ^ a b c Sharf & 1995-B. ^ a b c d Samy 1998, p. 80. ^ a b c James 1982, p. 30. ^ James 1982, p. 31. ^ JKatz 1978, p. 56. ^ a b c Katz 2000, p. 3. ^ Horne 1996, p. 9. ^ Moore 2005, p. 6356-6357. ^ Katz 1978, p. 25. ^ Katz 1978, p. 28. ^ Katz 1978, p. 30. ^ Katz 1978, p. 46-47. ^ Katz 1978, p. 53-54. ^ Katz 1978, p. 65. ^ Katz 1978, p. 66. ^ Laibelman 2007, p. 207. ^ Laibelman 2007, p. 209. ^ Laibelman 2007, p. 211. ^ Jones 2016, chapter 2. ^ a b Taves 2009. ^ Spilka & McIntosh 1995. ^ a b c Picard 2013. ^ a b c Devinsky 2003. ^ a b c Drvinsky & Schachter 2009. ^ Dewhurst & Beard 1970. ^ Picard & Kurth 2014. ^ a b Gschwind & Picard 2014. ^ a b c Gschwind & Picard 2016. ^ a b Schopenhauer 1844, p. Vol. II, Ch. XLVIII. ^ Minsky 2006, p. ch.3. ^ Picard 2013, p. 2496-2498. ^ Picard 2013, p. 2497-2498. ^ a b Picard 2013, p. 2498. ^ Newberg 2008, p. 140. Dewhurst, K.; Beard, A. (2003). "Sudden religious conversions in temporal lobe epilepsy. 1970" (PDF). Epilepsy & Behavior. 4 (1): 78–87. doi:10.1016/S1525-5050(02)00688-1. PMID 12609232. Archived from the original (PDF) on 30 September 2007. ^ a b c d e Peter Fenwick (1980). "The Neurophysiology of the Brain: Its Relationship to Altered States of Consciousness (With emphasis on the Mystical Experience)". Wrekin Trust. Archived from the original on 14 February 2016. Retrieved 14 November 2015. ^ William Barr (22 September 2003). "Is there an epileptic personality?". Retrieved 23 August 2009. ^ Peter Fenwick (7 January 1994). "Untitled". 4th International Science Symposium on Science and Consciousness. Retrieved 15 August 2006.